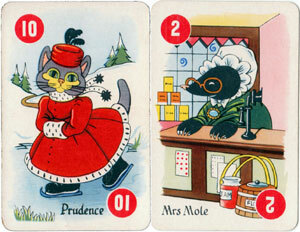 In around 1830 Anthony Bunn Johnson founded a printing and bookbinding business in Handsworth, Birmingham, where he made games for children. In 1860 his two sons, Joseph and Alfred, branched out on their own, setting up a similar business, “Johnson Brothers” operating from George Street, Birmingham, England. 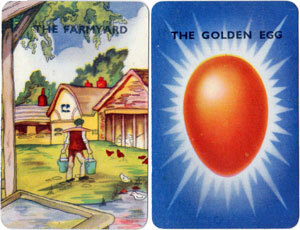 Later they moved to Rose Road, Harborne on the outer-edge of Birmingham. The new building was named the “Chad Valley Works”, located in the valley of the River Chad. 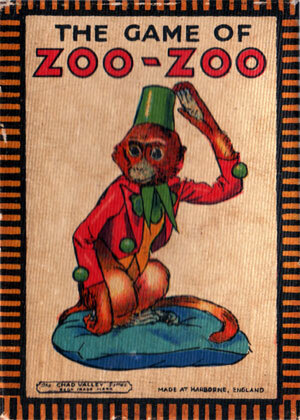 They traded as Messrs Johnson Brothers (Harbourne) Ltd. and issued their first catalogue. This building became the firm’s headquarters for almost seventy years. 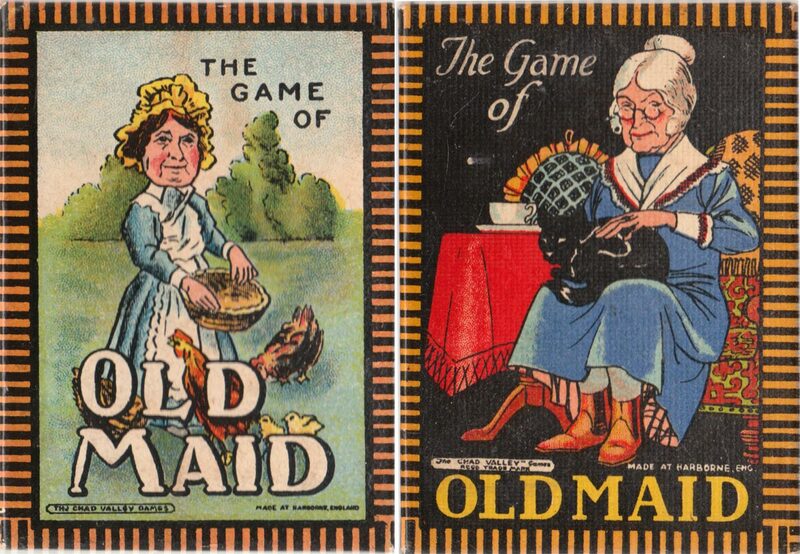 During the 1910s the Johnson family expanded their business with new types of toy to complement their successful range of paper and card-based products. 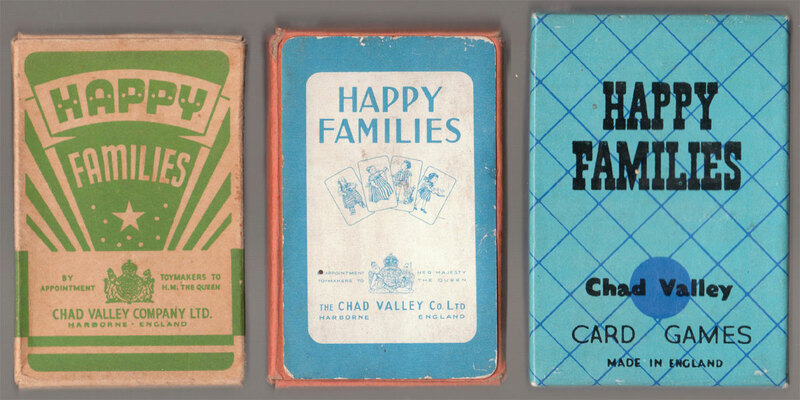 A strong emphasis on the printed word was aimed at affluent families and well-educated children. 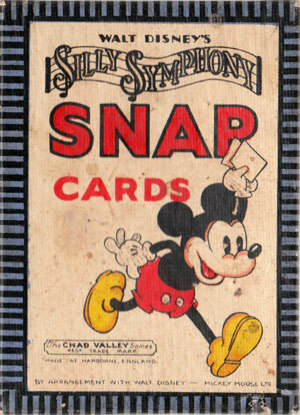 Popular artists and illustrators of the day, such as Max Pollock and Linda Edgerton, were commissioned to design sets of card games such as Snap and Happy Families, and Walt Disney allowed them to reproduce some of their characters on a Snap game. In 1920 the name was changed to The Chad Valley Co Ltd. 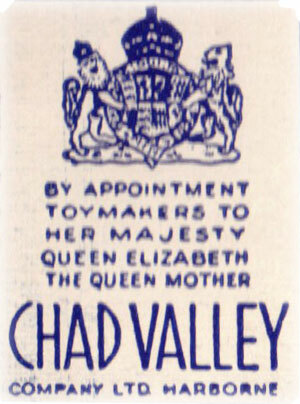 The name Chad Valley first appeared on toys in around 1920. 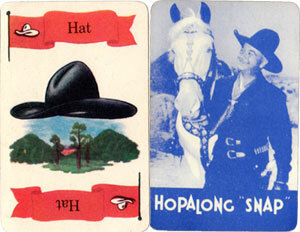 Chad Valley produced the games for Flutter Met Games in the 1930s: St George and the Dragon • Mother Hubbard Mystery • Knock Knock • Cardomino • Deuce. 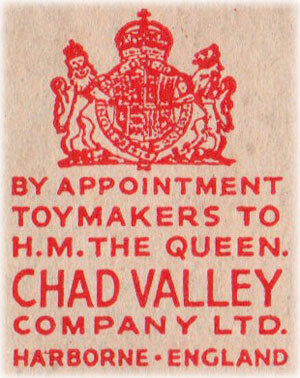 In 1936 the Chad Valley Company was granted the Royal Warrant of Appointment: Toymakers to H.M. The Queen. In 1952 when King George VI died the Royal Warrant was amended to Toymakers to H.M. Queen Elizabeth The Queen Mother. The Royal Warrant was cancelled in 1960. 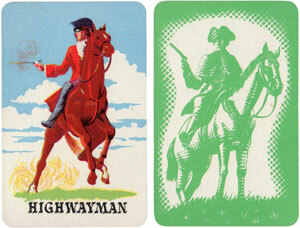 Above: Royal Warrants appearing on Chad Valley boxes are a guide for dating. 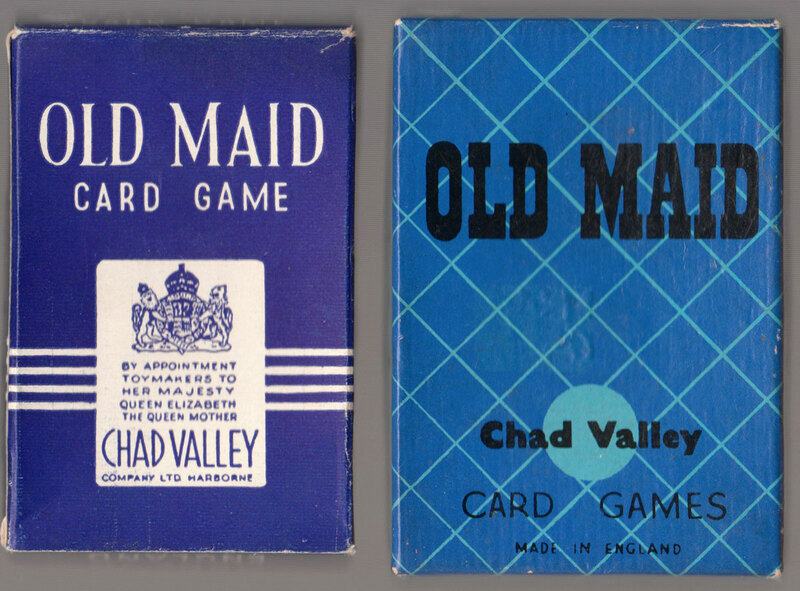 In 1950 The Chad Valley Co Ltd became a public company: The Chad Valley Group. In 1954 the firm of Roberts Brothers Ltd, Gloucester (Glevum Brand) was taken over and the Glevum Works were closed in 1956. (Earlier, in 1904 the children’s games had been acquired from Woolley & Co by Robert Bros and now were inherited by Chad valley). After losing its direction in the 1970s following factory closures, in 1971 the Group was taken over by Barclay Securities and the next year acquired by British Northrop Ltd. In 1983 Woolworth Group (Kingfisher) bought the name for their own toys and games until their demise in 2008. 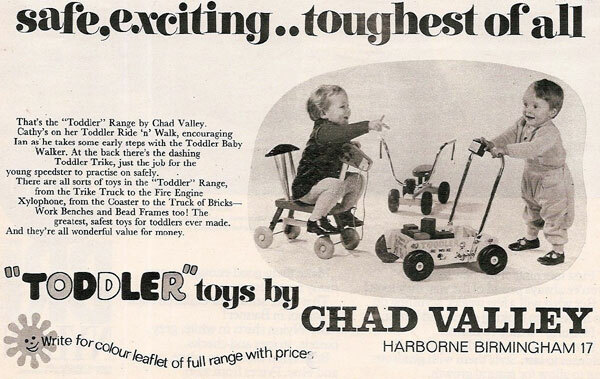 Since then it has been exclusively owned by the Home Retail Group who distribute Chad Valley toys through their Argos stores. 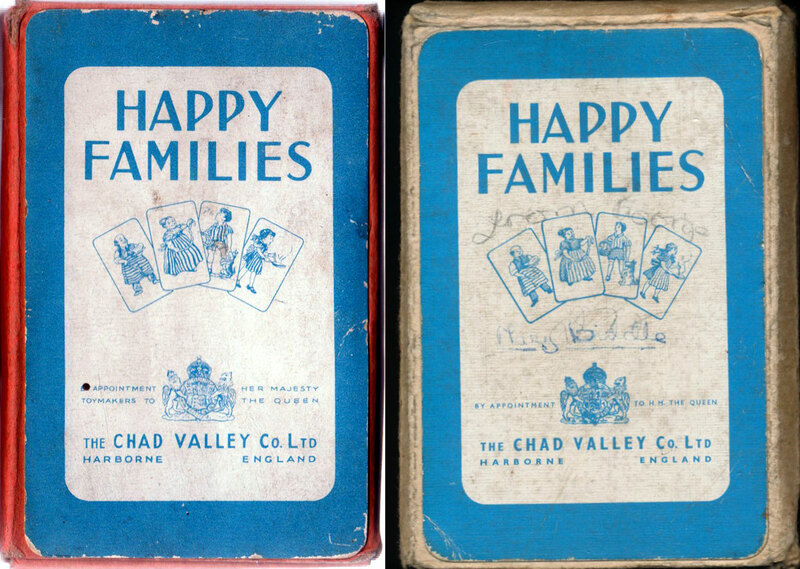 Happy Families is probably one of the most popular games ever produced and Chad Valley published at least four different sets. 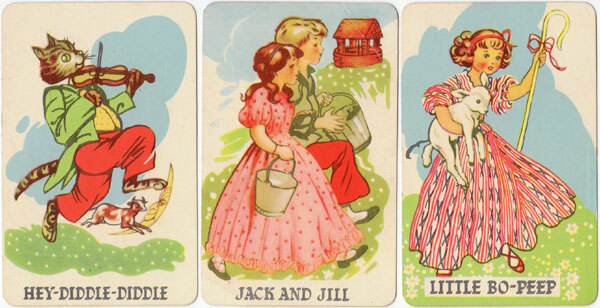 Nursery Rhymes help with the child’s transition between picture books and the first story book. Thanks to Rex Pitts for illustrations and notes.